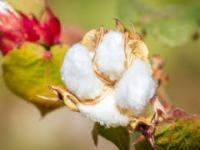 Expressing concern over the current panic in the market and the firming up of cotton prices, the Indian Cotton Federation (ICF) has approached the ministry of textiles to intervene and direct the Cotton Advisory Board ( CAB) to re-assess the cotton crop situation in the country. The All Pakistan Textile Mills Association (APTMA) Chairman Syed Ali Ahsan has said that a competitive and viable domestic textile industry is in the larger interest of the textile sector across the value chain. He said while realizing gravity of the situation, the present government very aptly announced and implemented initiatives to ensure regionally competitive energy, both electricity and gas, to the exporting industry five zero rated sectors. Consequently, viability as well confidence of the businessmen / industrialists and prospective investors has restored. Prices improved slightly on the cotton market on Friday in the process of sustained buying of fine quality of lint, dealers said. The official spot rate was unchanged at Rs 8,800, they added. In the ready session, over 5,000 bales of cotton finalised between Rs 8900-9000, they said. 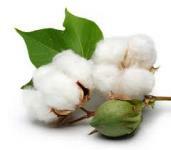 Cotton was lower Thursday as the highly anticipated weekly sales and exports report was less than friendly. As the old saying goes “Anticipation is always greater than Realization”. Thus, the basic ingredient missing in Thursday’s data was China. Myself Baban Bhagwan Yede, staying At Post Anjanvati Village, Dist. Beed, (MH). I stay in a village whose population is about3000 and nearly 350 families belong to the farming community. I am 56 years farmer and did my 4th Std. My educational carrier I had decided to do the farming in a better way. I am having 13 acres of land, in which we use 4 acres of land for growing cotton, 5 acres of land for growing Udit and on balance 3 acres other crop like turmeric etc. 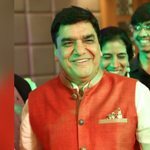 ACCORDING TO MUKESH TAYEGI JI GOVERNMENT SHOULD ALLOW DUTY FREE IMPORT AND EXPORT OF RAW COTTON WHICH IS CURRENTLY IN POLICY AND SHOULD BE CONTINUED, TO HAVE GOOD TRADE IN UPCOMING DAYS. Myself Vinod Ravindra Dhangar, staying at Visteda Village, Dist. Jalgaon, (MH). I stay in a village whose population is about 20000 and nearly 800-900 families belong to the farming community. I am 30 years old farmer and did my SSC. My father is doing farming from years together but the type of farming was a traditional one. After my educational carrier, I had decided to help my father and to do the farming in a better way. I am having 8 acres of land, in which we use 5 acres of land for growing cotton, and on balance 3 acres another crop like Moong. Cotton Corp buying starts in Madhya Pradesh, picks up in Telangana .